Nordea Bank’s Topi Manner is to succeed Pekka Vauramo as chief executive of state-controlled Finnair. Vauramo, who is credited with returning the airline to profit growth will leave in November to join engineering firm Metso. 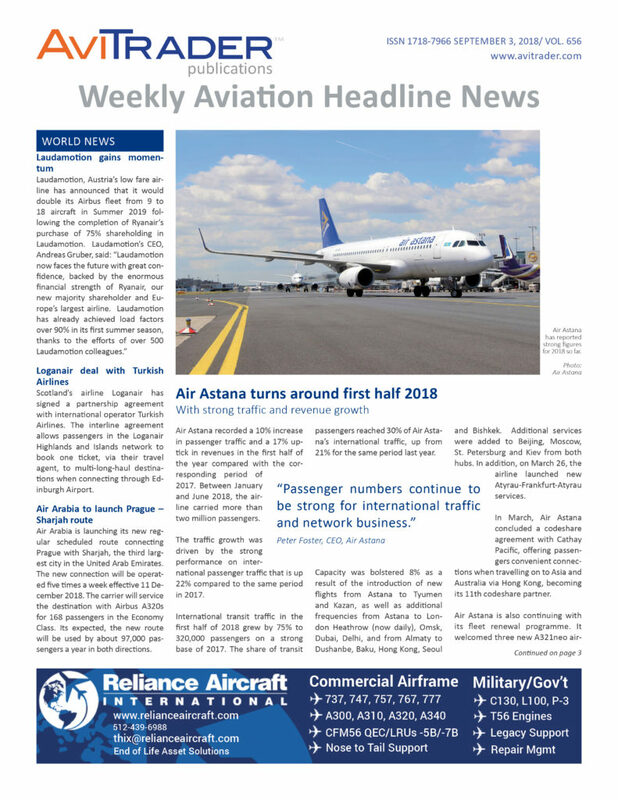 The announcement comes on the back of July’s news that the airline, which has struggled to compete with low-cost carriers, could see this year’s profits negatively impacted by a substantial rise in fuel prices. One of Vauramo’s greatest challenges had been to effectively restructure operations owing to the strength of trade unions, while relations with the state, which holds a controlling 55.8% stake in Finnair, have been strained for some time. Etihad Cargo, the cargo and logistics arm of Etihad Airways, and Trinity Logistics USA have renewed their partnership that will see the airline continuing to operate three weekly Boeing 777 Freighter services into Rickenbacker International Airport (LCK) in Columbus, Ohio, on behalf of the New York based global logistics provider in a multi-year agreement. Norwegian has reported strong passenger growth as it carried more than 3.6 million passengers in August. The total traffic growth increased by 31% this month, driven by a 33% capacity growth. The load factor was 89.6% down 1.5 points on the entire route network and 94% on Norwegian’s long-haul routes, which are operated by 787 Dreamliner aircraft. Delta Air Lines has reported operating performance for August 2018. The company carried 18.3 million customers across its broad global network, a record for the month of August. System traffic for August was up 3.6% while capacity improved 3.5% compared to August 2017. System load factor was up 0.1 point to 88% when compared to the previous year. Safran has reported that for the first half of 2018 (H1 2018) adjusted revenue was Euro 9,506 million, an increase of 23.9% on a reported basis, including a four-month contribution of Euro 1,516 million from Zodiac Aerospace and Euro (445) million of currency impacts. On an organic basis, adjusted revenue grew 10.1%. Adjusted recurring operating income was Euro 1,386 million (14.6% of revenue), an increase of 32.6% on a reported basis compared to Euro 1,045 million (13.6% of sales) in the first half of 2017 (H1 2017). H1 2018 recurring operating income included a four-month contribution from Zodiac Aerospace amounting to Euro 129 million. Excluding Zodiac Aerospace, adjusted recurring operating income grew 20.3%. Adjusted net income – Group share was Euro 932 million (basic adjusted EPS of Euro 2.17 and diluted adjusted EPS of Euro 2.11). In H1 2017, adjusted net income – Group share amounted to Euro 1,488 million comprising Euro 716 million of net income from continuing operations and Euro 772 million of net income from discontinued operations. Free cash flow generation amounted to Euro 820 million (including Euro 25 million from Zodiac Aerospace), representing an increase of 23% compared with Euro 666 million in the year-ago period. The growth was driven by higher cash from operating activities and lower capital expenditures, partially offset by an increase in working capital. At constant scope, H1 2018 free cash flow amounted to 63% of adjusted recurring operating income. Net debt position was Euro 3,533 million as of June 30, 2018, including the acquisition of Zodiac Aerospace. Safran (excluding Zodiac Aerospace) raises its outlook for 2018 as the strong momentum for Propulsion, Aircraft Equipment and Defense seen in H1 2018 should continue into H2 2018. Adjusted revenue to grow on an organic basis in the range 7% to 9%. At an estimated average spot rate of USD 1.21 to the Euro in 2018, adjusted revenue is expected to grow in the mid-single digits. Adjusted recurring operating income to grow around 20% at a hedged rate of USD 1.18 to the Euro. Free cash flow to be comfortably above 50% of adjusted recurring operating income, an element of uncertainty being the rhythm of payments by state-clients. Alaska Airlines will begin nonstop, daily service between Seattle and Pittsburgh. Rockwell Collins has been selected by Coptersafety to provide three turnkey integrated Level D helicopter dome-based complete visual systems. The systems include multiple EP-8100® image generators, 4K ultra-high resolution, liquid crystal over silicon (LCoS) laser-illuminated projectors, a 240 degree by 80 degree motion-compatible dome display, night vision goggle capability and additional channels for camera systems, vertical reference window, cargo mirrors and an Enhanced Vision System (EVS). Deliveries are currently underway to its training facility in Helsinki, Finland, and two of the systems have already been certified by the Finnish Transport Safety Agency. Coptersafety, founded four years ago by a helicopter pilot wanting to improve the safety of helicopter aviation, is a European facility focused on commercial rotary wing training. Embraer Executive Jets has delivered the fifth Legacy 450 medium cabin business jet to AirSprint, Inc., a Canadian privately held fractional aircraft ownership company based in Calgary, Alberta. The first Legacy 450 entered AirSprint’s fleet in December 2016 and has since been joined by five Legacy 450, bringing AirSprint’s fleet to six Legacy 450. ARGUS International (ARGUS) has launched its Second in Command (SIC) Gateway Program, the program’s goal is to recognize valuable safety related experience beyond hours in the air, and to qualify pilots with quality experience to meet and/or exceed the ARGUS TripCHEQ SIC minimums. Pilots may meet/and or exceed SIC ARGUS TRIPCHEQ minimums through a mix of real-world experience, quality training experience, simulator training programs and/or operator training. The program’s criteria ensure progressive safety standards through one of three ARGUS SIC Gateways, all which focus on core competencies. The three approved ARGUS SIC Gateways are: Military, Aeronautical University, and Ab Initio. These gateways provide pilots with an efficient, streamlined and accelerated path to meet ARGUS TripCHEQ SIC minimums. The ARGUS SIC Gateway Program brings advanced safety curriculum highlighting real-world training, universally recognized criteria created by ARGUS International, a focus on competency/evidence-based training, and an emphasis on quality flight time and how that time is accumulated. GATEWAY APPROVED ARGUS SIC TRIPCHEQ minimums are as follows: enhanced, competency-based training with a minimum of 500 total flight hours – 250 of those flight hours as Pilot in Command. Werner Aero Services has acquired an Embraer E-190, MSN217, the second E-190 acquisition in the past few weeks. 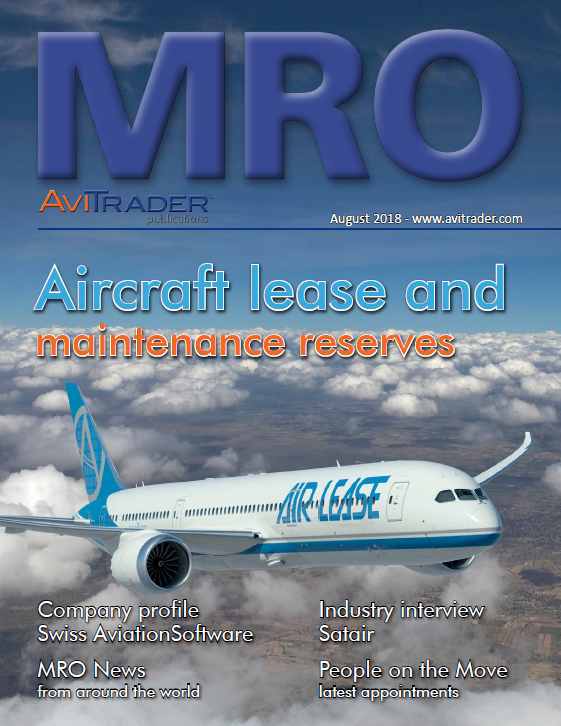 The aircraft will be used to meet the high demand Werner Aero Services is experiencing for its Embraer supply and asset management programs. The addition of the second E-190 puts Werner Aero Services on the path to becoming one of the largest independent Embraer supplier.